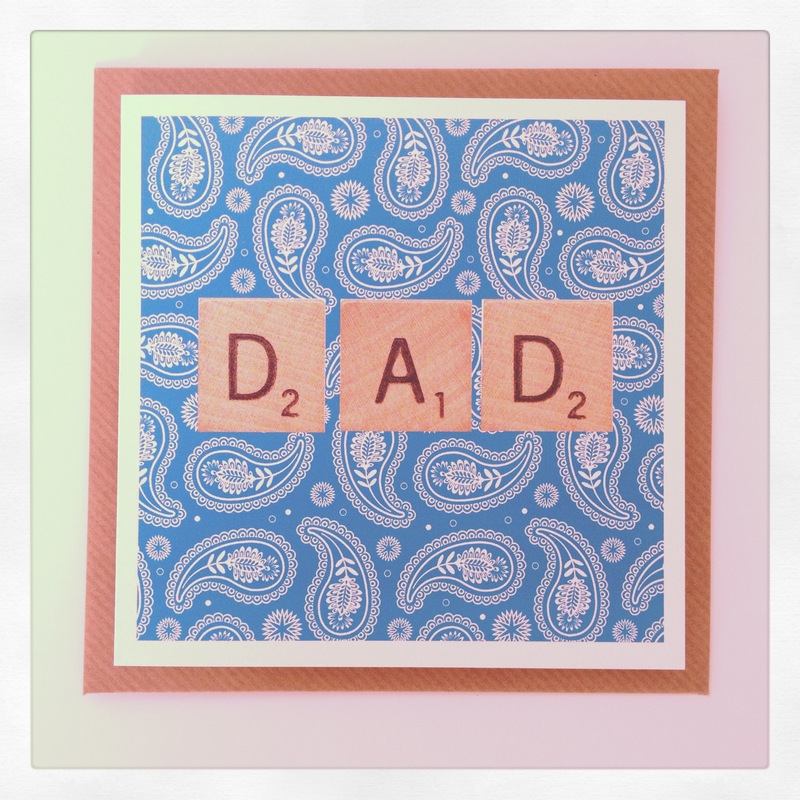 We have launched this years collection of Father’s Day cards, with lots of new designs and a few of our classics. 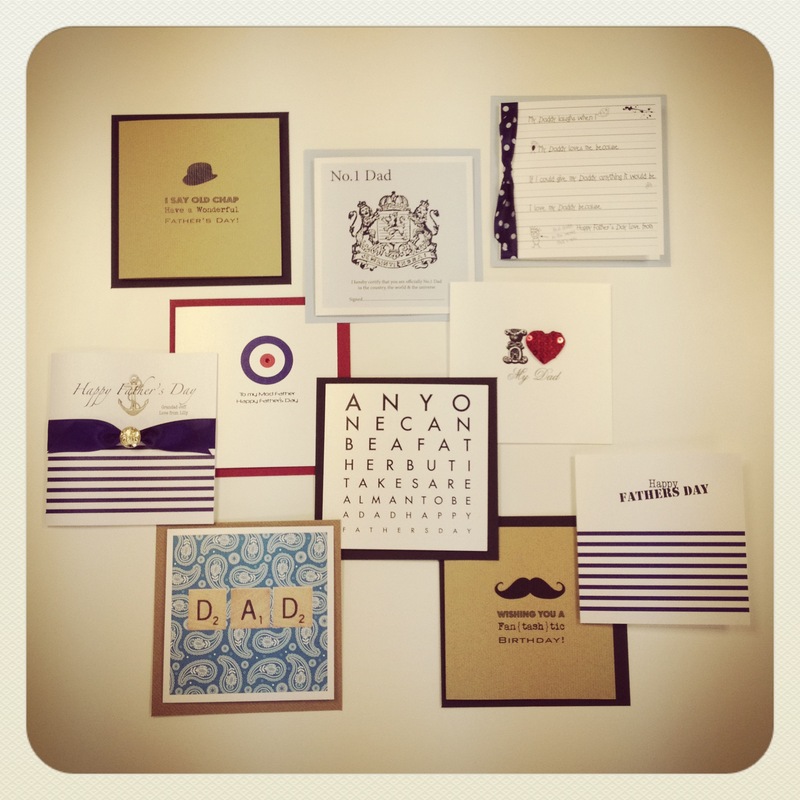 As a special offer to followers of our blog we are also offering 30% off our Father’s Day collection for orders placed in May, just head over to our website , choose your card and use discount code BLOGDAD at checkout for your discount. 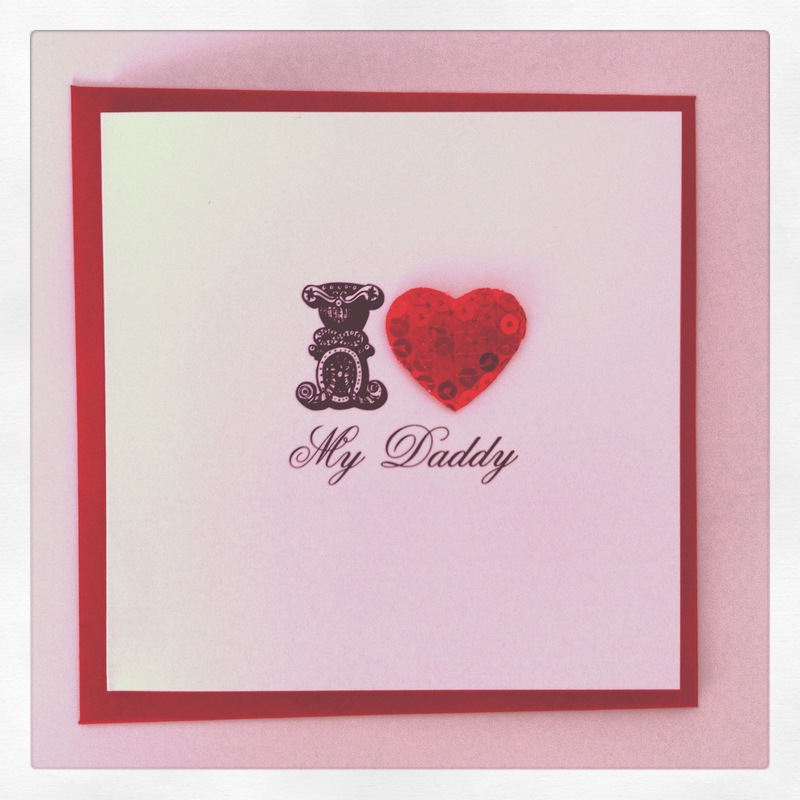 We are pretty famous now for our sparkly pretty cards, but we know that this just won’t go down well with most Dad’s and so we have been busy creating some cooler, simpler printed designs for all the cool Dad’s out there. 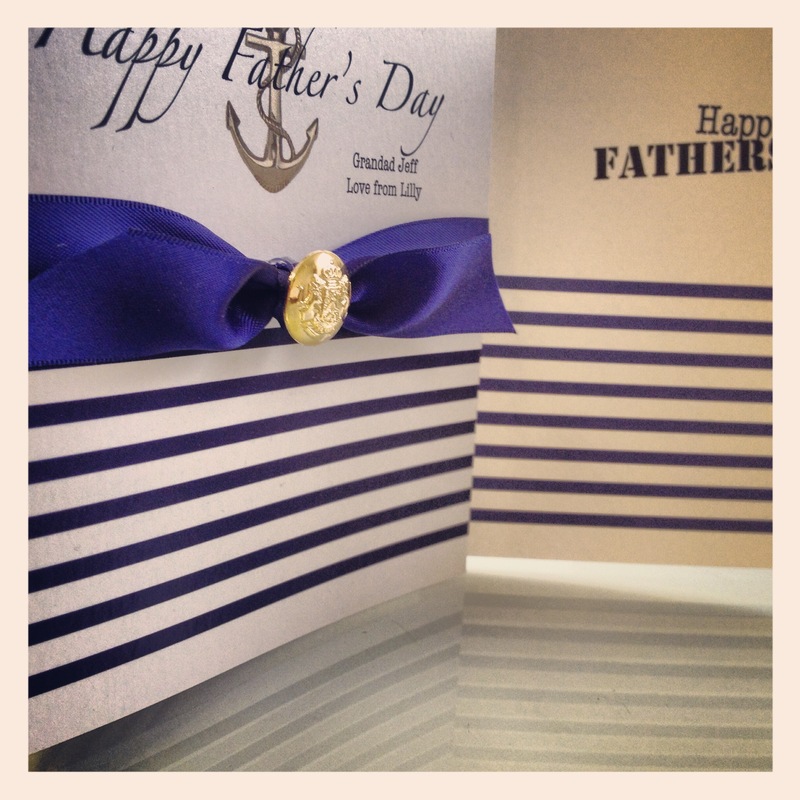 We took inspiration from some current trends as we know that Dad’s nowadays are fashionable things, including Paisley print Fathers Day card and this Nautical Father’s Day card. A cool card featuring Paisley print and vintage scrabble piece font. 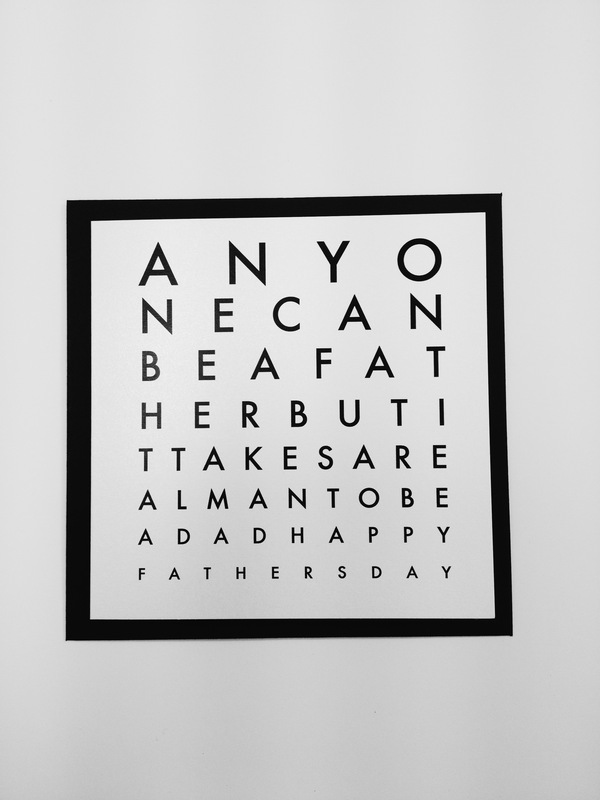 Another new favourite is the playground Fathers Day card which takes inspiration from a school note, it has space for children to fill in before giving to Dad. We have also designed a Mother’s Day favourite as a Father’s Day card, Royalty Fathers day card features a vintage style crest and can also be personalised…. 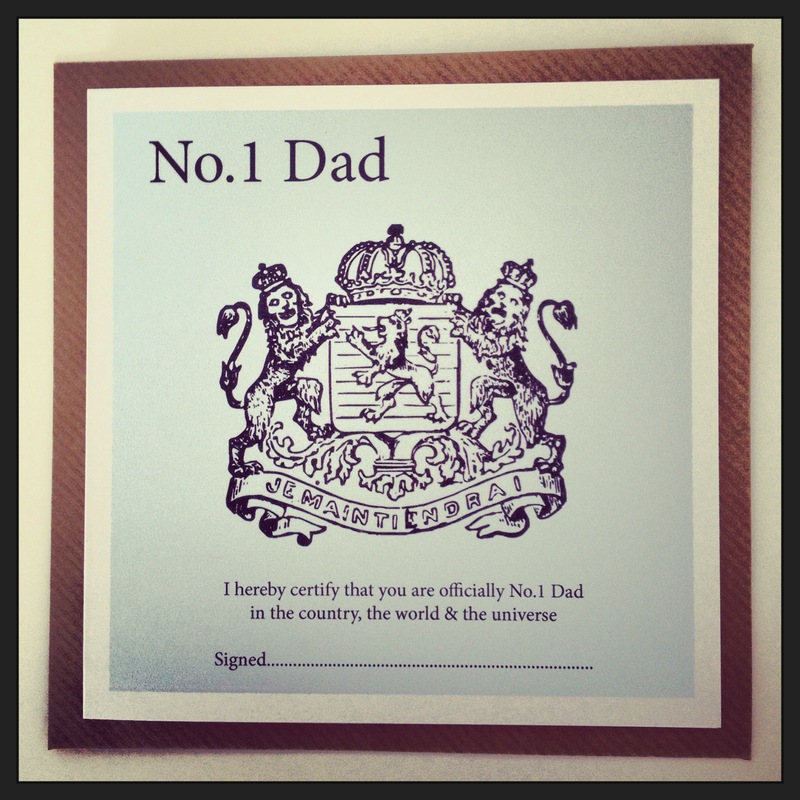 This makes your Dad officially, number one …. By Royal decree no less. Last but by no means least is a really, rather good design, if we do say so ourselves. On Kraft card that looks stunning and has a great feel, with a vintage inspired print, font and cool use of a bowler hat print. Old Chap is a great design that Dad’s will love, even if they don’t work in a bank in Mary Poppins. 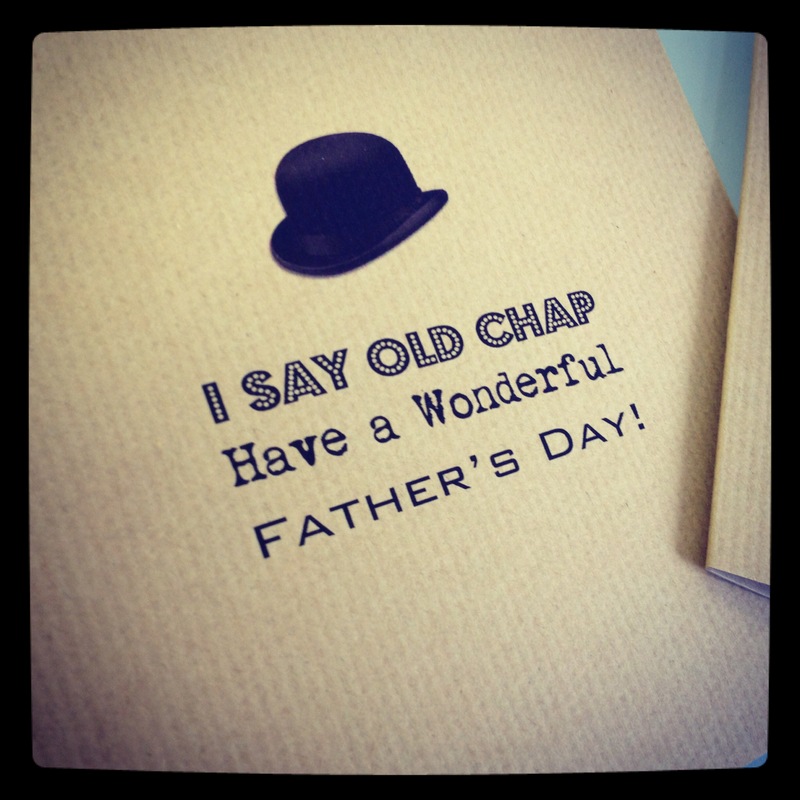 Printed Fathers Day card, with bowler hat and vintage font. 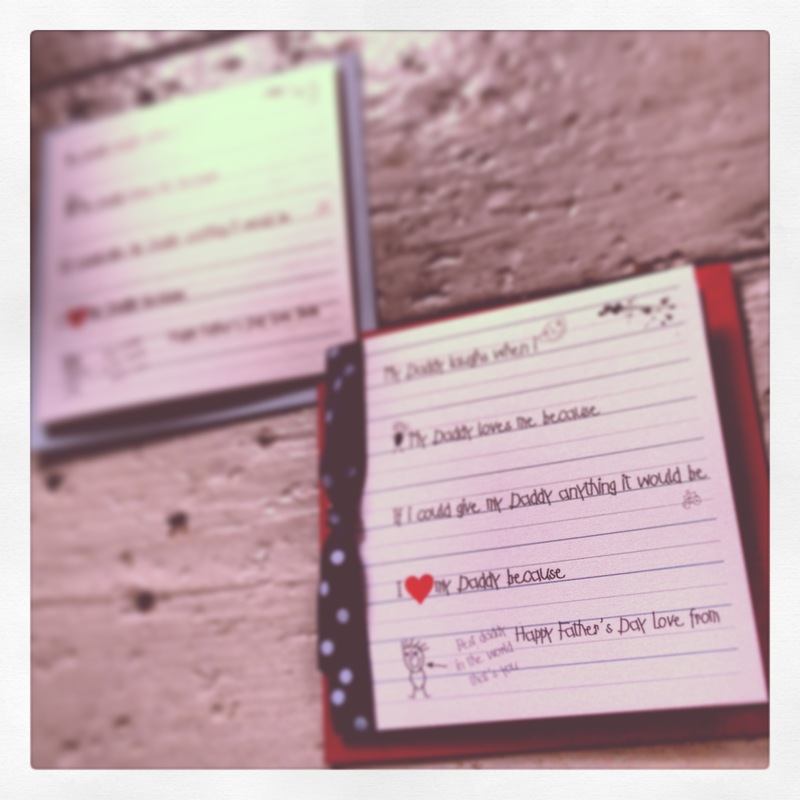 Stay tuned as we will have some cool ideas for Father’s Day gifts coming soon. A wonderfully sunny Great British Bank Holiday…. And we finally got to wear Summer clothes. It’s kind of traditional that in this country when you have a Bank holiday, it rains… Well not on this last one, the sun was out and we decided to take full advantage of the lovely weather. We opened the curtains on Saturday morning to glorious sunshine pouring in, this meant that I had to wake up Mrs Made With Love to make sure that she didn’t snooze the day away. The only way to do this is with coffee and a perfectly runny soft boiled egg. 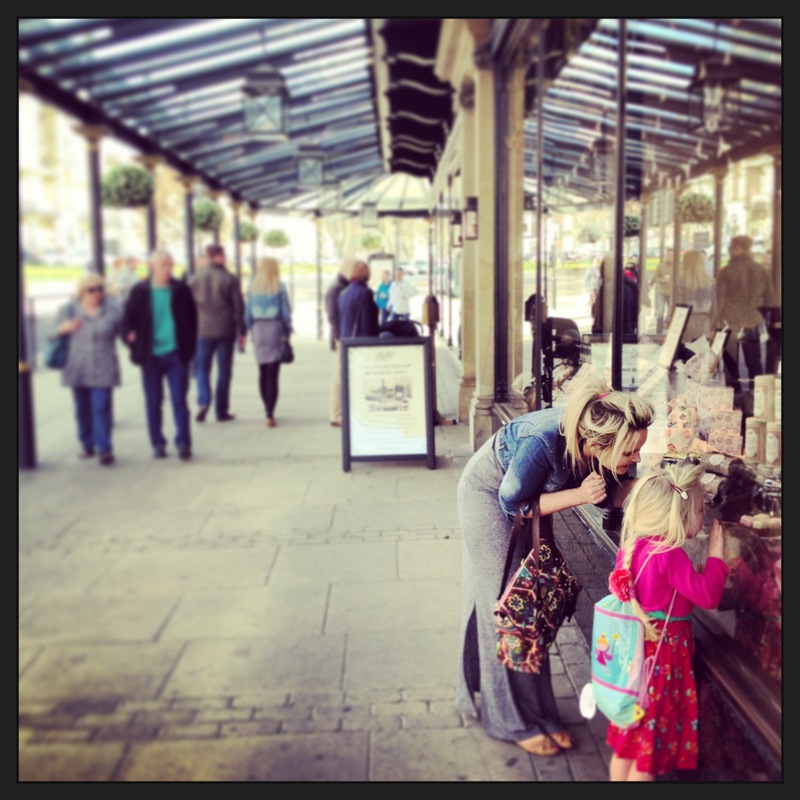 We were off to the beautiful town of Harrogate for the day as we were picking up an antique, marble toped table to add to our front room (more about that in another post). 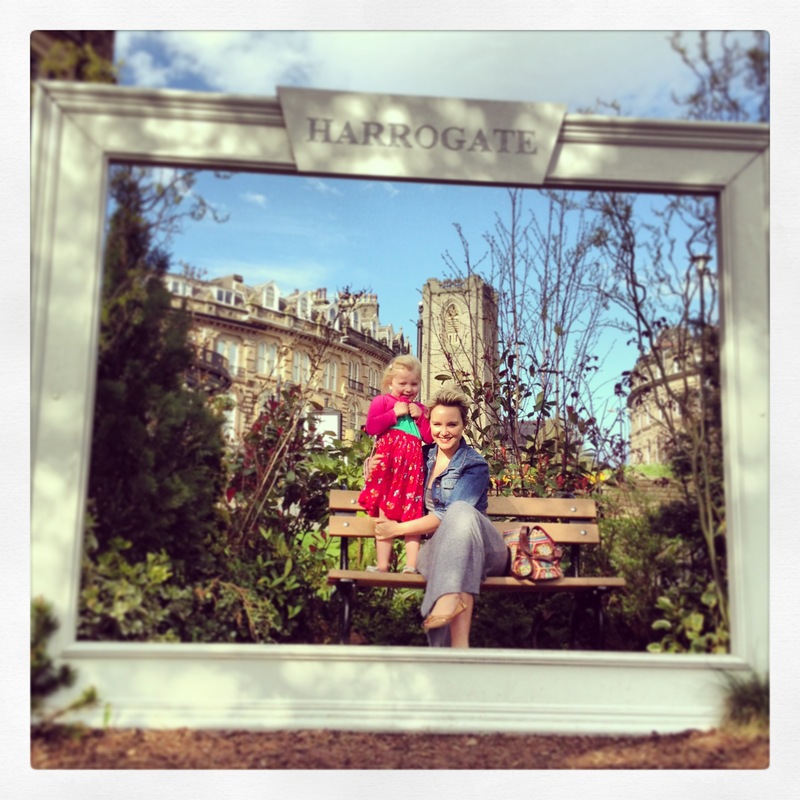 Harrogate is a pretty spa town in North Yorkshire, we had to make a quick stop off as our friendly courier Steve was picking up some of our new mirrors to deliver to a customer and sod’s law the only day he could pick up was a Saturday. 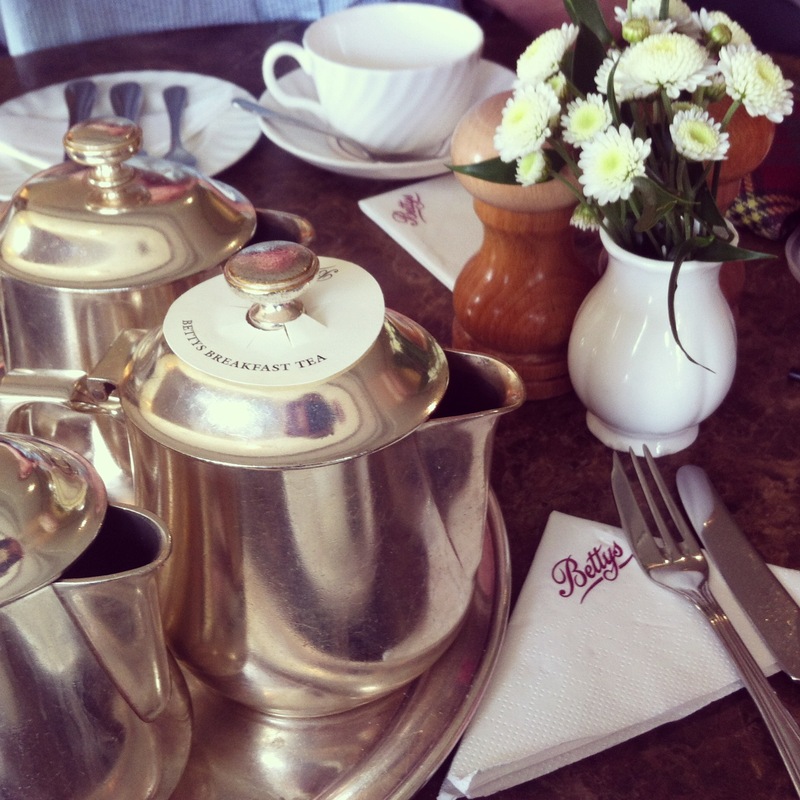 We arrived early afternoon and decided to stop off at the world famous Betty’s tea rooms. 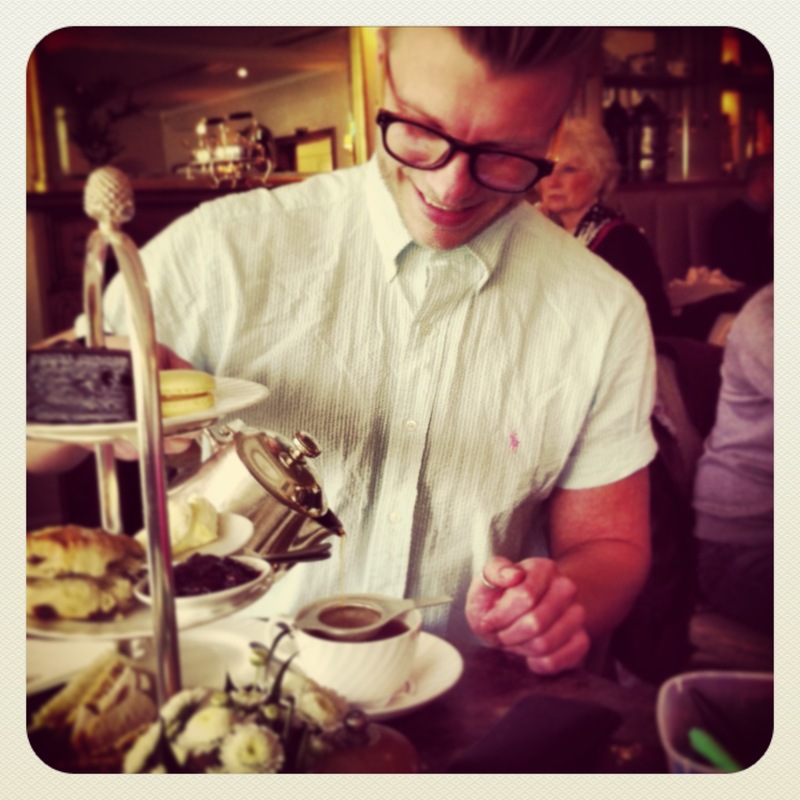 Betty’s is a traditional tea room, which has a wonderful shop front which just entices you in to the lovely interior, with a wide range of specially blended teas, coffees and probably the best looking cake stand ever. We went for the traditional afternoon, with triangle sandwiches and a stunning selection of cakey treats. The favorite was definitely the vanilla slice which was perfect. As the sun was finally out we decided to bring out the Spring/Summer wardrobe. Clare wore her new grey marl maxi dress from River Island and has been teasing her from the wardrobe for the last few wet weeks, I decided to indulge my love of vintage with a Ralph Lauren seersucker shirt in a brilliant bright blue stripe, I even brought out the ankles with a cheeky few turn ups showing of the Timberland boat shoes all topped of with a vintage blazer. 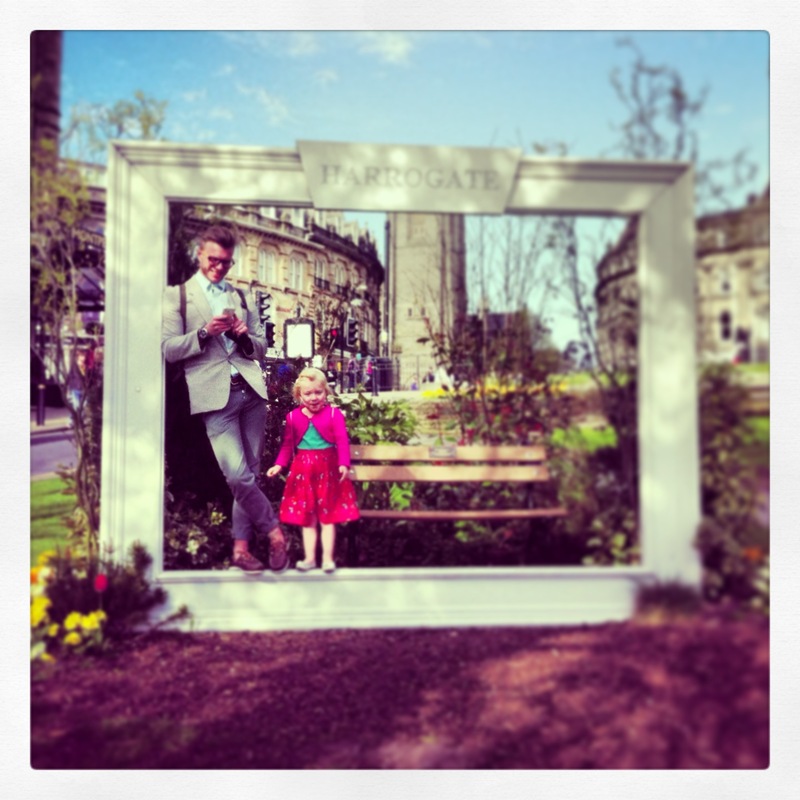 Our little Lil even got in on the act with her pretty floral print Matthew Williamson dress. That was our Saturday all finished, we came home and by this time, you guessed it we were hungry again and so we indulged in a roasted camembert, baguette and a bottle of red. We retired early as we had a lovely meal planned for the next day.